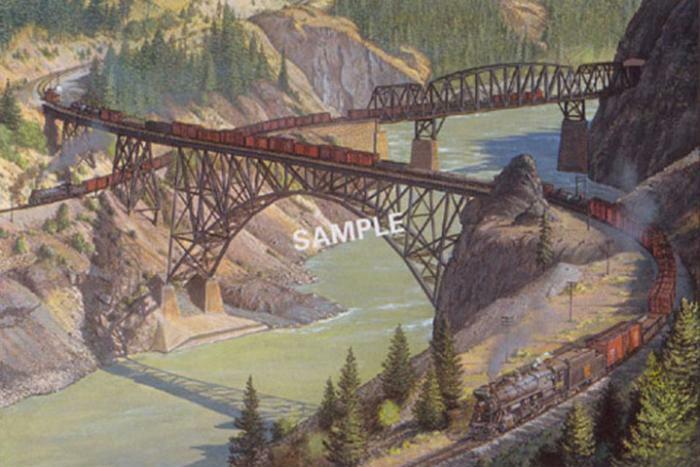 Image Size: 6" x 9" Framed Size: 11" x 14" Max Jaquiard has a sizeable research library of printed materials, photos and slides of steam trains and the places they would have operated. It is that attention to precise and accurate details that can be seen in his paintings. The sensitivity to his subject and quiet passion that is infused into each work seem to allow Max Jaquiard to breath life into the canvases. The images he creates have captured the imaginations of steam buffs across Canada and the United States. His paintings grace the walls in homes across North America. © 2019. One Stop Framing & Gallery. Complete Convergent Communication provided by theONEco.